Seven divisions of racing action are set to end the holiday season on Memorial Day, May 30 at Macon Speedway. In addition to Big Ten Pro Late Models, Modifieds, Street Stocks, and Hornets, the B-Mods, Beach House Micros, and D-II Midgets will be on hand. NASCAR’s Ken Schrader and Kenny Wallace will also be running with the Billingsley Towing Modified division. Pit gates open Monday at 2:30, grandstands at 4:00, pill draw ends at 4:50, hotlaps begin at 5:00, and racing is set for an early start time of 6:00. 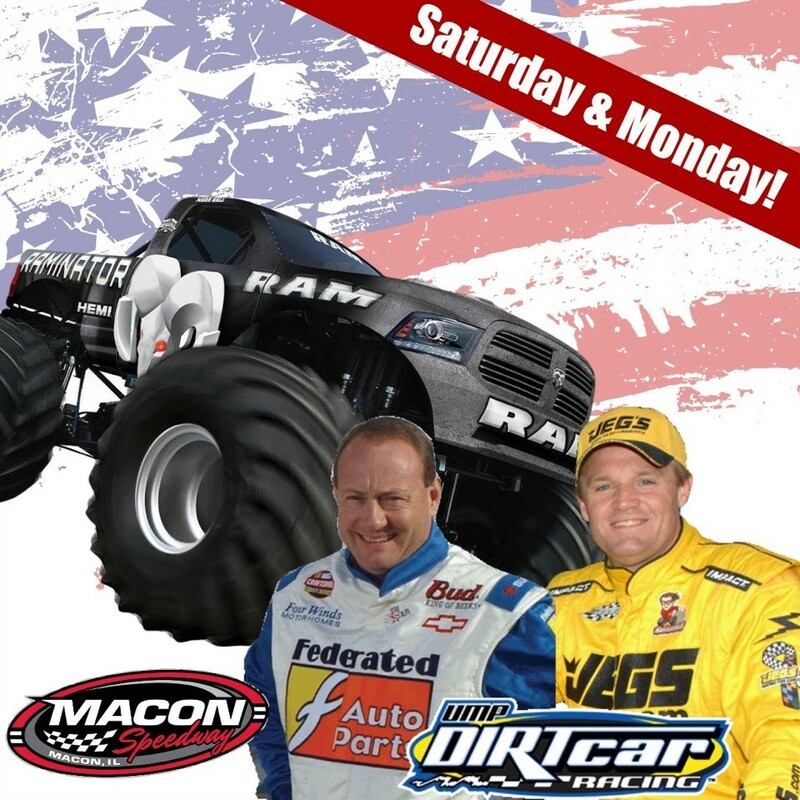 For more info, check us out at maconracing.com.